- Easy & Quick Installation--Bulit in Wi-Fi, Easy control via free app "Mihome" "Yeelight", No hub is required. 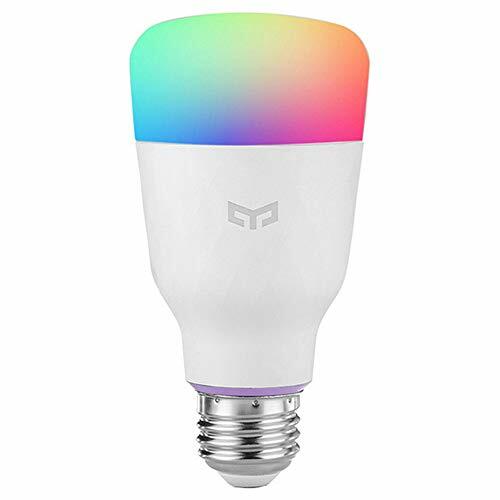 - Convenient Wifi Remote Control--16 million colors bulb, dimmable and Color temperature range 1700k-6500k, 800 lumens brighter. - Energy saving,Professional optical design and high quality LED provides stable lighting performance, reduces glare and protects your eyes. - Work with Amazon Alexa, MIJIA, Google Home. IFTTT Support Open API, Remember to switch to Singapore server firstly.